Pro Cycling Manager 2017 will release on June 15 for PC. 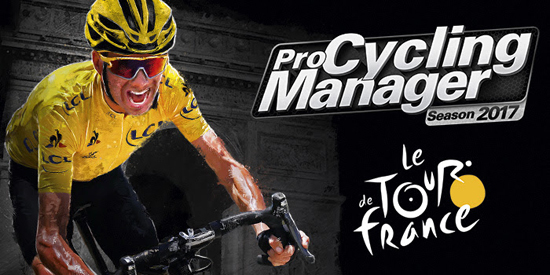 In Pro Cycling Manager, become the manager of a professional cycling team and compete against today's best riders in over 200 races (500+ stages) across the world, including major races such as La Vuelta and the iconic Tour de France. Every year, the developers work hard to push realism ever further, and to make Pro Cycling Manager the most in-depth cycling simulation ever. In this Pro Cycling Manager 2017's Gameplay Trailer, the developers of the game and Christian Prudhomme, the director of the Tour de France, tell you everything you need to know about this year's version: new routes, features, gameplay mechanics, and what really counts towards being a great sports manager. Cyanide have dedicated their energy towards improving many facets of the game, such as race tempo, rider speeds, sophisticated AI and multiplayer tools, as well as the management of stamina and preparation, to bring this newest edition as close as possible to reality. Pro Cycling Manager 2017 will release on June 15 on PC. At the same time, console players will be able to enjoy the official Tour de France video game for PlayStation 4 and Xbox One.